Training: The Italia Conti Academy. Ben was recently crowned the winner of ITV's Superstar, winning the role of Jesus in Andrew Lloyd Webber's production of Jesus Christ Superstar. 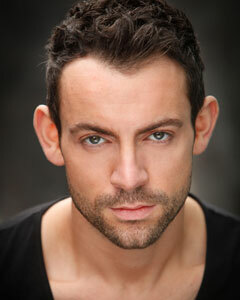 Ben is based in London and performs across a national and international spectrum. Originally from Sunderland, Ben works in television, theatre, radio and the music industry. Other credits include: lead vocalist in Thriller Live (Flying Music), director Gary Lloyd for the West End and world tour: El Haj in La Cava (West End. Eon Productions), directed by Steven Dexter and Doody in Grease (West End). Television credits include: The Dream Academy (BBC) and Superstar (ITV). Ben's album Acoustic Covers is now available from the theatre, subject to availability and also on Ben's official website.